The waters used in the Centro de Talasoterapia are from the Mar Menor, with properties that can only be compared with the waters of the Dead Sea. The waters high salt and mineral contents along with the cordial and amible treatment found in the Hotel will make you want to return. The medical treatments are garanteed to be absultly confidential in all the different programs offered. There are also all types of treatments for the well being of mind and body, such as anti-stress therapy, weight loss and beauty treatments. In the outdoor complex guests will find a swimming pool, a separate children's pool, a pool/ snack bar as well as a sun terrace with sun loungers and parasols laid out ready for use. Further leisure options include an indoor swimming pool, a Jacuzzi, a sauna, a steam bath and a massage service. It is possible to play a round of golf, with the nearest course being 15 km away. There is a gym within the hotel that can be taken advantage of for an added fee. A varied seasonal entertainment programme rounds off the leisure opportunities. Located on the Mar Menor, in unbeatable natural surroundings, opposite the protected Parque Natural and in between two seas. With more tha three humdred sunny days and an average temperature of 19º, this is a perfect place to enjoy a walk, a bike ride, the local gastronomy or just relax in the sun. The airport - San Javier (Murcia) is 10 minutes away and the Aeropuerto de Alicante is 40 minutes away. 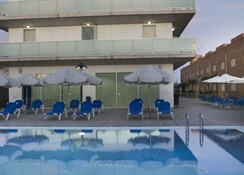 There are shopping centres within easy reach, it takes 20 minutes to Cartagena 30 minutes to and Murcia. There are 6 golf courses within 15 minutes of the hotel. Lo Pagan zone where there are pubs,bars etc is a 20 minutes walk away. 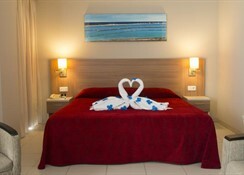 All rooms are exterior and have a complete bathroom, hair dryer, telephone, satélite TV, free WIFI, mini bar, air conditioning, central heating, safety deposit box and furnished terrace or balcony. There is a room adadapted for persons with reduced mobility. 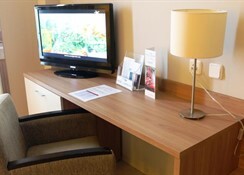 The 8 Junior Suites, decoration and funishings were renovated in 2012, have a small lounge area with sofa bed. 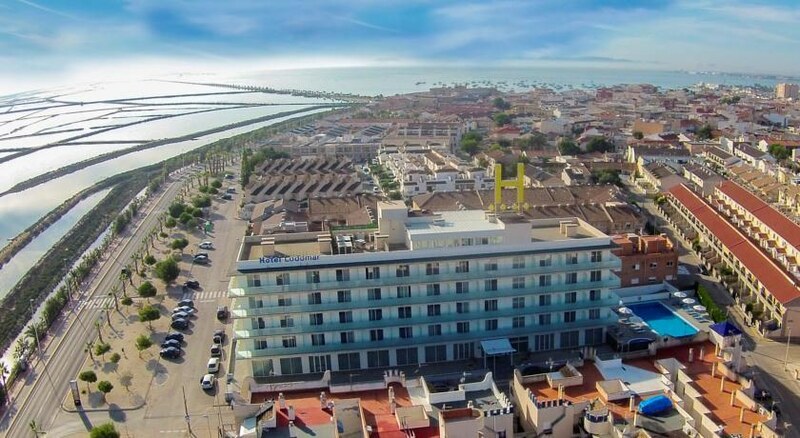 It is posible to reserva a Superior Room, all have a doublé bed, large terrace or balcony and the best views of the Parkque de las Salinas and its flamencos. From the airport, take second exit at the roundabout through AP-7 ramp towards San Pedro del Pinatar/Alicante/C-3319/Balsicas/Murcia/A-37. Merge with AP-7. Take exit 774 towards San Pedro del Pinatar/Pilar de la Horadada. At the roundabout, take first exit and merge with N-332/Av del Doctor Artero Guirao towards Cartagena/Murcia/San Pedro del Pinatar. Turn left at Calle del Lago Ibones. Left at Calle de Móstoles/F-33. First exit at the roundabout. Turn left towards Av del Puerto. At the roundabout, take second exit towards Av del Puerto. Make a right at Calle del Río Bidasoa.